MANNA MEAL is a free lunch for our neighborhood that gives us a great opportunity to welcome and get to know our neighbors. This is one way people can connect with Hilltop and find their way into our church family. 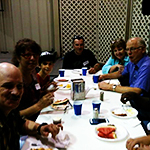 This ministry is in partnership with Wheatland Mission.. 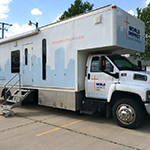 The Mobile Medical Clinic provides free medical care for low-income individuals who do not have insurance. This ministry is in partnership with World Impact. 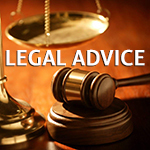 This ministry is in partnership with the Christian Legal Society. Call the church office (between 10 and 12, Tuesday through Friday) at least one day ahead of time to make an appointment. 2nd and 4th Wednesday of each month from 1 to 3 p.m.